Yesterday I was a very lucky lady and got to attend a fabulous blogger event held by Em (EmTalks) for all of us northern bloggers. Em thought it would be nice for us all to meet up and have a girlie afternoon chatting to other bloggers and brands as most blogger events are held in London! The event took place at Revolution in Deansgate Locks, Manchester, which was a fantastic venue. Revolution is under a tram line and is built into the arches underneath, very pretty! I met up with Paula who writes La Vida Fresa and Shen who writes Shenmoo before the event, I have met Paula before at a Benefit event but I have never met Shen before and luckily enough for me and Paula, Shen goes to Uni in Manchester so she knew exactly where the venue was PHEW! You will have to excuse my pictures, I was too excited to focus on good pics, bad bad blogger! THEN we had a talk from the lovely Natalie founder of Skin Solutions UK, the team that brought us XEN-TAN & GLAMGLOW, next we heard from Keil who is the district manager at Arbonne an international makeup brand that is very new to me, I am very excited to test out their products! Then we had a chat with Tahira who founded ILAH brows! I hope I have remembered everyone! There were also some fabulous and gorgeous makeup artists there doing makeovers - Abbie and Megan. When I got home I unpacked everything onto my dining table and the contents filled the table! 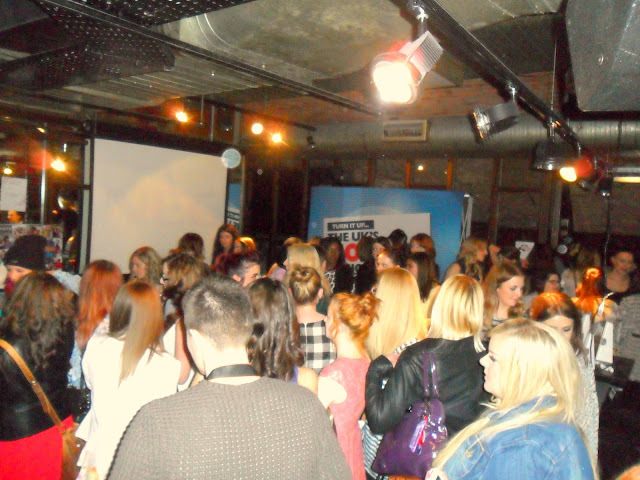 I was so overwhelmed, Em what an amazing job you did, not just with the extremely generous goody bags but the whole day was fabulous, I loved chatting to different brands about different products and everyone was so nice and easy to speak to. I will be testing out and reviewing all of the products I have luckily been given over the next...... year!!!!! 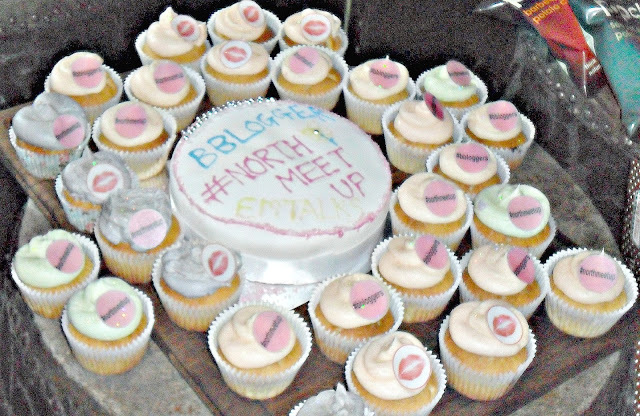 Have you heard of any of the brands that we met at the #northmeetup? If you attended please feel free to leave me your link, I would love to read your posts too! Thanks Sandra, it was amazing! There's the back of my head haha! With a ginger bun! Aww you're a sweetie, thanks Em :) you're too kind. Have tagged you on my blog too! Was lovely to meet you and we definitely have to meet up again sometime!! Wow indeed Sam, it was monstrous! It was LOVELY to meet you Laura! 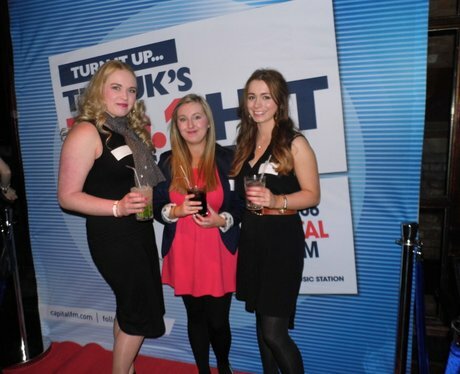 Such a fab day! Oh wow I'll definitely have to try and come along next time, it looks so much fun!! :) you look gorgeous Em! Yes you should Angie! I would love to meet you! It was such a good day! So nice to meet you too! And you too my lovely!